This perfectly pink peony keepsake box is adorned on top with satin ribbon, silk peony and velvet leaves. The trim is sprinkled with fairy dust (clear glitter) for that special touch any girl will love! Inside lid has a single larger envelope with satin ribbon for storing photos. If you'd like a first tooth and lock of hair envelope on the inside lid instead, just make a note of it in the comments section at checkout. 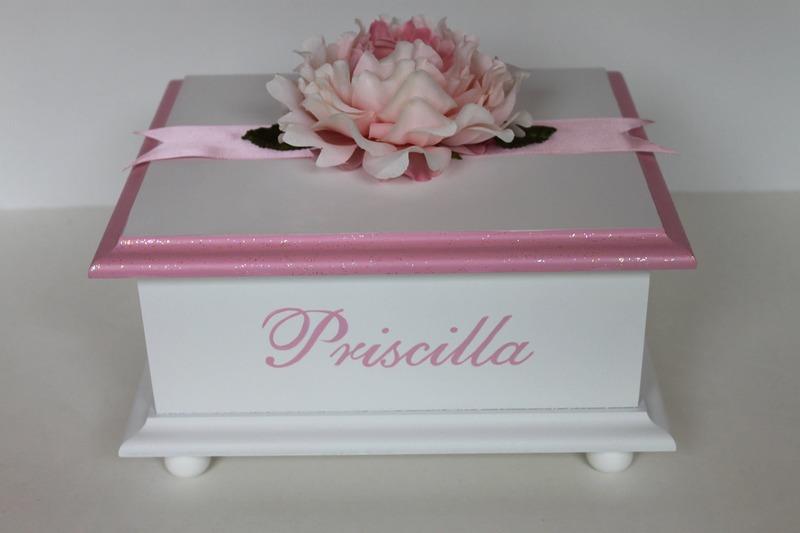 Absolutely beautiful keepsake box!!! Wonderful quality and will be treasured by my daughter for years to come! !